Burrow into our Facebook page at the icon below for updates! 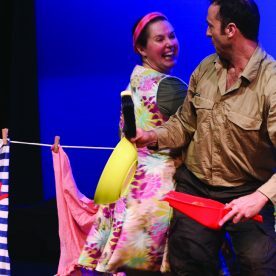 Eva Di Cesare is one of the founding members of Monkey Baa Theatre Company. She has co-adapted and performed in many of the company's productions including The Bugalugs Bum Thief, Worry Warts and Pearlie in the Park. She has also adapted Sprung!, the Helpmann Award-winning plays Hitler’s Daughter and Thursday's Child, Milli, Jack and the Dancing Cat, I Am Jack, Goodbye Jamie Boyd, Emily Eyefinger and Pete the Sheep. 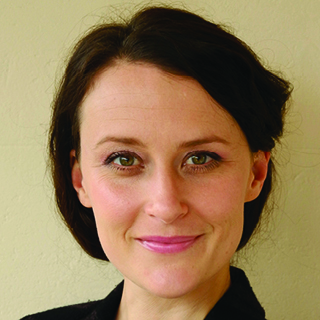 In 2012, Eva developed and facilitated the Discover the Stage - Digital Drama Workshops for the Sydney Opera House. 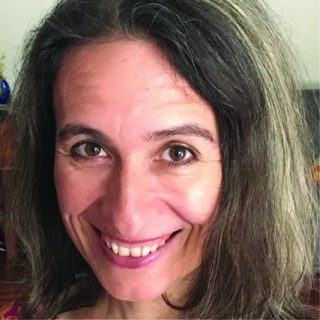 Eva recently co adapted Snugglepot and Cuddlepie for CDP, co-wrote and directed Simon Tedeschi: Pianist and Prankster and co-adapted The Peasant Prince based on Mao’s Last Dancer by Li Cunxin. Alice Osborne is a theatre maker who works collaboratively as a puppeteer, director, performer and movement artist. She was the Resident Puppetry and Movement Director for the Australian production of War Horse. As dancer/ puppeteer, Alice was a member of Compagnie Philippe Genty (Paris) for two and a half years, touring internationally with the work, Boliloc. In Australia she worked extensively with award winning company, My Darling Patricia. In 2015 she created the dance theatre work, Falling Woman with Halcyon Macleod as part of Performance Space's Buruwan (Island) season. Alice worked as Puppetry and Movement Director on The Splinter by Hilary Bell for Sydney Theatre Company in 2012. Other companies she has collaborated with include Polyglot, Erth, Urban Theatre Projects. 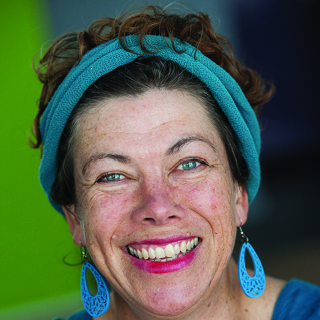 Imogen Ross has worked professionally as a performance and event designer for the last 23 years. She trained as a production designer at WAAPA after majoring in Theatre Studies at UNE. Since 1993 she has designed and/or coordinated over 50 plays, operas, musicals, dance pieces, corporate events, short films and commercial television pieces. Imogen has a long standing creative relationship with Monkey Baa, designing The Prospectors, Hitler’s Daughter, Millie, Jack and the Dancing Cat and Thursday’s Child. Over a decade with Shopfront Theatre for Young People, Imogen has designed and mentored CALD young performers on a range of site-specific productions. She is a well-known teacher with NIDA, Belvoir St, Merrigong, BAC, Shopfront, DET schools and The Arts Unit. Oonagh Sherrard has been creating music and sound works for theatre, film, dance, radio, installation and live performance for 20 years. She studied composition with Peter Sculthorpe, Ross Edwards and Ann Boyd at Sydney University and Literature and Theatre at Macquarie University. 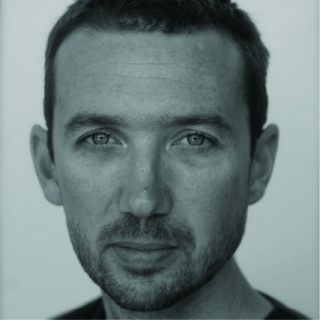 Recent work includes sound design for National Theatre of Parramatta’s The Cartographer’s Curse, composer/sound designer for Circa’s When One Door Closes (La Boite 2016), composer and cellist in Urban Theatre Projects’ The Tribe (Belvoir 2016; Sydney Festival 2016) AND composer for multiplatform documentary, Retrospect: War, Family, Afghanistan with ABC Online, ABC RN and UNSW iCnema (2015). 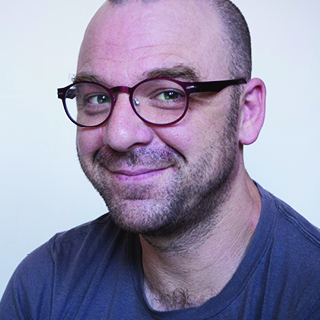 Matt’s career in theatre has spanned 15 years designing lighting in both Australia and the UK. 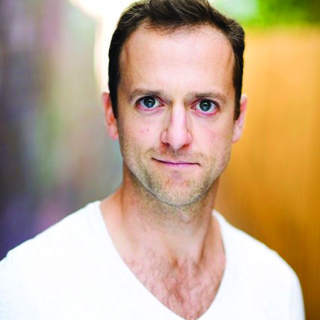 During his time in London, Matt worked with student directors attending the Royal Academy of Dramatic Art (RADA), the Edinburgh Fringe Festival and John Stahl’s solo show, Blindman. Since returning to Sydney he has designed numerous theatre productions including Blak, Belong (Bangarra Dance Theatre), Reflections on Gallipoli (Australian Chamber Orchestra), Romeo and Juliet (Bell Shakespeare), Ruby Moon (Sydney Theatre Company), The Mousetrap and A Murder is Announced (Louise Withers and Associates), The Seed (Company B), Symphony (Legs on the Wall) and many more. Matt currently tutors for the National Institute of Dramatic Art (NIDA). Kingsley graduated from the Sound discipline at WAAPA in 1995 as a sound designer and then from the Theatre discipline in 1998 as an actor. He has been designing sound and music since his youth. He forges collaborative relationships with countless theatre makers in Australia and abroad. He is currently head of Audio at NIDA. He is the recipient of several industry awards for sound and music design. 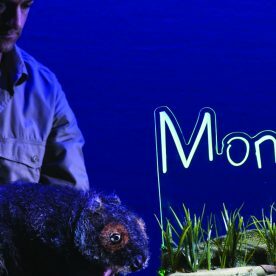 Credits include Monkey Tales, Pete the Sheep and Goodbye Jamie Boyd (Monkey Baa); Off the Record (Force Majeure); Home (PIAF 2016); Thomas Murray and the Upside Down River (Stone Soup) and Storm Boy, Ruby Moon, The Mysteries: Genesis and August: Osage County (Sound Realiser) for Sydney Theatre Company. 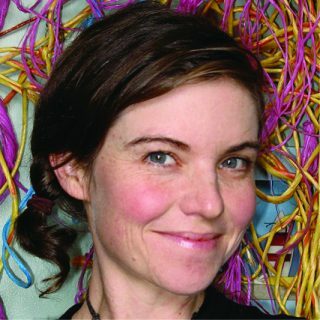 Sandra Eldridge is one of the Creative Directors and founders of Monkey Baa. 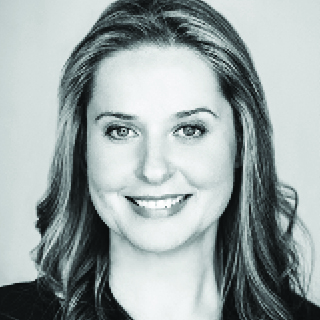 A WAAPA acting graduate, she also has a Master of Arts (Practice) for directing CSU. For Monkey Baa she has adapted and performed in Worry Warts, Sprung! The Fairy’s Wings, The Bugalugs Bum Thief and Emily Eyefinger and adapted Goodbye Jamie Boyd, Hitler’s Daughter, Milli, Jack and The Dancing Cat, FOX, I Am Jack, Thursday’s Child and Pete the Sheep. 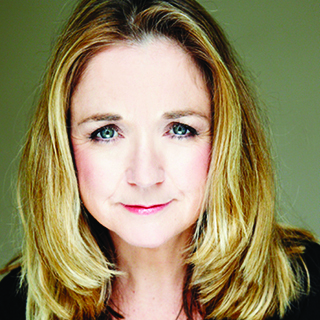 Sandie has been acting in theatre, film, TV and radio for over 30 years. In 2016 she wrote and starred in The Unknown Soldier to honour the Centenary of WW1. 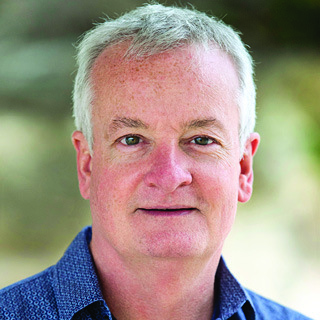 Tim McGarry is one of the Creative Directors and founders of Monkey Baa. A graduate of WAAPA, Tim has co-adapted many Australian novels for Monkey Baa including Thursday’s Child, Goodbye Jamie Boyd, Worry Warts, Milli Jack and the Dancing Cat, Hitler’s Daughter, I Am Jack and Emily Eyefinger. Other writing projects include the ‘US’ Project, a program funded by the Australia Council developing theatre stories with disenfranchised youth in Melbourne’s eastern suburbs. Tim co-wrote four works for the Sydney Opera House’s 2013 Baby Proms Season. He looks forward to directing The Peasant Prince for Monkey Baa in 2015. 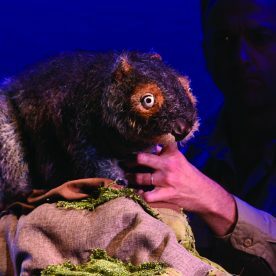 Whether it’s Wombat, WarHorse or Workshop, Michael’s true joy is in sharing stories that allow us to step outside of ourselves and see the world anew. He has worked in Australia, Europe, East Timor, Brazil and China. Theatre credits include his debut, award winning one-man show The Best Corn Chip In The Universe, Macbeth and Taming Of The Shrew for Sport For Jove Theatre, WarHorse, Construction of The Human Heart, Closer (Apocalypse Theatre), ERTH’s Dinosaur Zoo and The Frail Man. Film/TV credits include TIMELESS, Tricky Business, Underbelly-RAZOR, Packed To The Rafters, Home and Away and Shelling Peas. He loves creating positive, transformative opportunities for himself and his audience. Julia Ohannessian graduated from NIDA in 2007. Since graduating Julia has performed in Cherry Smoke (Old Fitz), Accidental Death of an Anarchist (STC Ed), The Mysteries: Genesis (STC), Vs Macbeth (STC/Border Project), Comedy of Errors (STC), Oresteia (STC), Blood Wedding (STC), Hamlet (STC Ed), Mr Chicken Goes to Paris (NIDA), The Splinter (STC), Othello (Sport For Jove), Children of The Sun (STC), Every Second (Darlinghurst Theatre Company) and Hamlet (Bell Shakespeare). Her TV and film credits include East West 101, Home and Away, Subject to Change and Down Under. 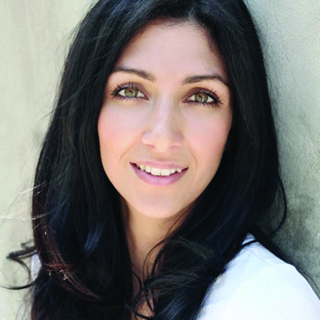 Shondelle is a Sydney based actor. A graduate of Ensemble Acting Studios, with a Degree in Theatre Theory and Practise from The University of Western Sydney, Shondelle has worked on a number of film, television and theatre productions. Her theatre credits include Wombat’s Wild Adventure (Em’s Entertainment), Nothing to Lose (Force Majuere), Man of La Mancha, Trailer Park the Musical, A New Brain (Squabbalogic), Bear Hunt, Showtime, Snoopy The Musical (Ensemble Theatre) and Bully Busters (Class Act TIE). 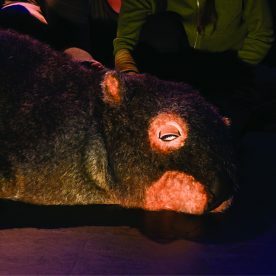 In order to fully prepare for her role in Diary of a Wombat, Shondelle ate lots of carrots, had many dust baths and scratched and scratched, and scratched. 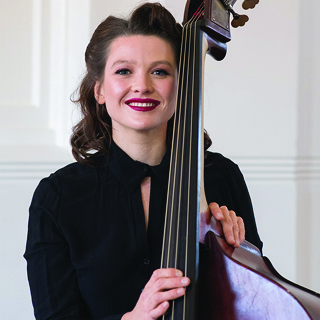 Australian cellist/double bassist/vocalist, Mary Rapp is a multidisciplinary musician who has gained wide acclaim for her distinctive approach, which integrates jazz, experimental, classical, and regional music traditions. 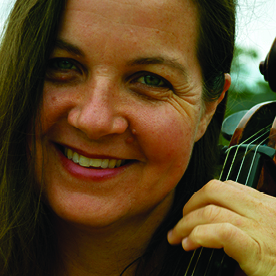 Mary’s work as both performer and composer is regularly featured in a range of ensemble settings such as Ensemble Offspring and the Australian Art Orchestra. She has performed nationally and internationally as a part of festivals such as the Sydney Festival and at venues such as the Opera House. She was a featured artist at the 2015 Woman’s International Jazz Festival. Mary’s practice defies categorisation; indeed she works in the spaces between categories, genres, and cultures. As a children’s author, a reviewer and above all, a mother, it was a joy to behold. A sure winner for its targeted audiences, and their adult carers, too. 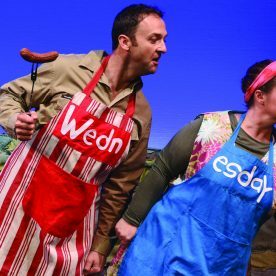 Who better exists in children’s theatre circles than director Eva Di Cesare and the insightful Monkey Baa team to respectfully transform this classic to the stage for the 3+ age group. 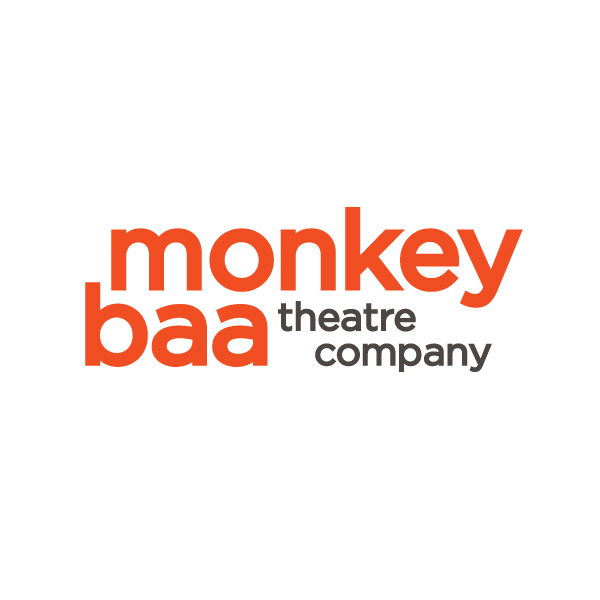 Entrust anything to the creative team at Monkey Baa Theatre and they will sprinkle their magic across the book and make it come to life. My 2-year-old was mesmerised, my 7-year-old laughed out loud. What a wonder it is to witness the creativity and skill evident in bringing this wonderful book to life. 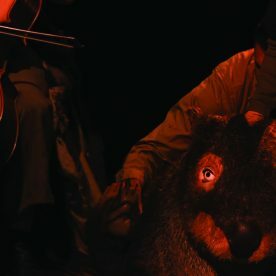 Narrated by cello and brought to life beautifully by Mothball’s puppetry, this is a delightful little play. As with other Monkey Baa Theatre Company productions, this beautiful work is for young people but it does not talk down to them. 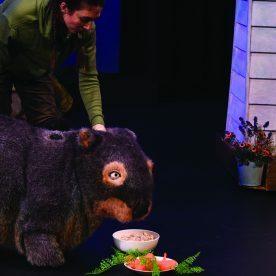 Diary of a Wombat is a must see! Both of my kids, aged 5 and 2 respectively, were engaged from start to finish. 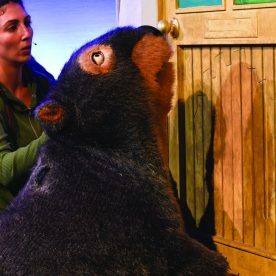 Children’s theatre company Monkey Baa has worked its magic with this delightful adaptation of Diary of A Wombat. This show is a winner for the little kid theatre set. Click here for the ‘Diary of a Wombat’ teacher resource. Monkey Baa provides information on how our productions link to the NSW Syllabus. You can see this information in our Education Season brochure, or by clicking HERE. Codes pertain to the current NSW syllabus as per the BOSTES website. If you would like additional curriculum information, or links to the National Curriculum, feel free to contact us and we will provide this for you.